We are committed to the clients we represent and to our community, providing sound and ethical counsel while giving back to the place we call home. Above all, our work is about the people we serve and our surrounding community. We believe there is always room for compassion within the often rigid structure of the law. To be trusted advisors and tenacious advocates in pursuit of the best possible outcome for our clients and their futures. To share our wealth of knowledge with clients while providing a safe, supportive environment during times of crisis or transition. To manage our firm responsibly, to invest in our future, and to fulfill our commitments to each client, our co-workers, and our community. We are confident leaders who set the highest standard of excellence for ourselves and the objectives of our clients. We fight our client’s fight, bringing both logic and comfort at an emotional time. We listen and are responsive, compassionate, persistent, and proactive in support of the needs of our clients and industry partners. 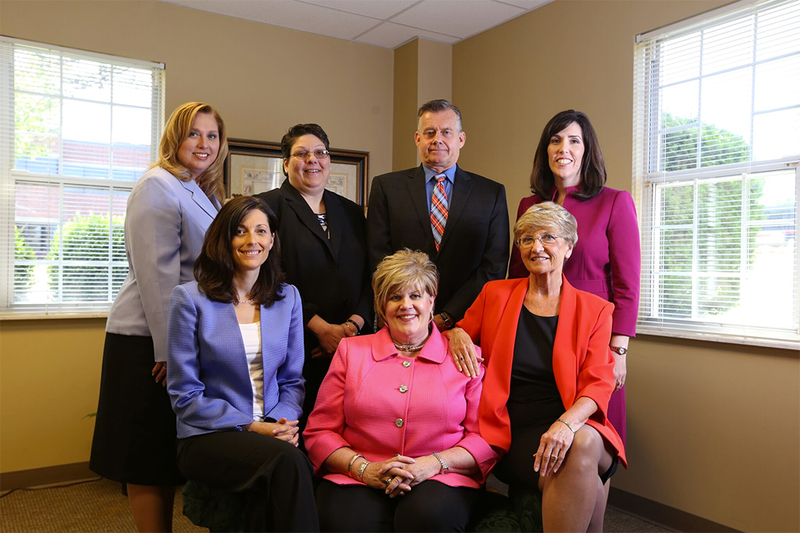 As we continue to evolve, we are dedicated to our founding principles while striving to be the most respected law firm in Central Pennsylvania.